This is laden with technology, has a really luxurious interior and lots of kit. The latter includes satellite navigation, side-view camera, head-up display, night-vision camera, speed limit display, DVD, heated leather seats with lumbar support, cruise control and climate control to name but a few. 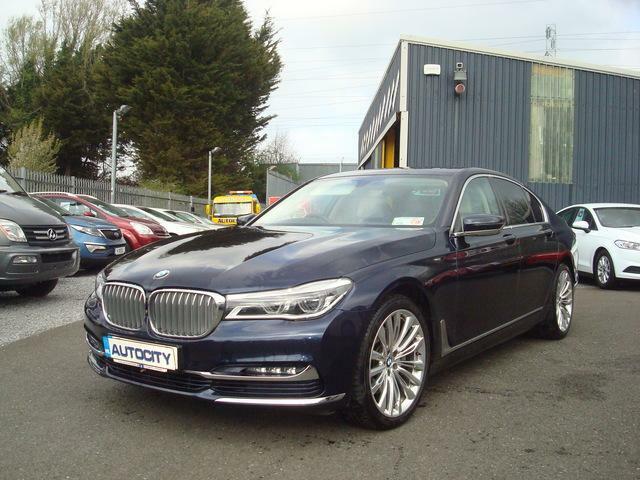 There’s also a good range of engines: the 740i 3.0 litre with 321bhp, the 750i 4.4 litre with 401bhp, the 760i 6.0 litre with 536bhp, the 740d 3.0 litre diesel with 301bhp and there is a hybrid version which has an 8-speed TwinTurbo 3.0 litre diesel, delivering 315bhp and 450 Newton-metres of torque. The Efficient Dynamics system helps the C02 emissions. There’s plenty of room in the huge and comfortable cabin. It has limo-like passenger space and huge storage capacity in the boot, with folding rear seats to increase the area if necessary.